Fine spells and isolated showers. Areas of fog tomorrow morning. Fine at first. A few showers developing this evening and becoming more frequent tomorrow. 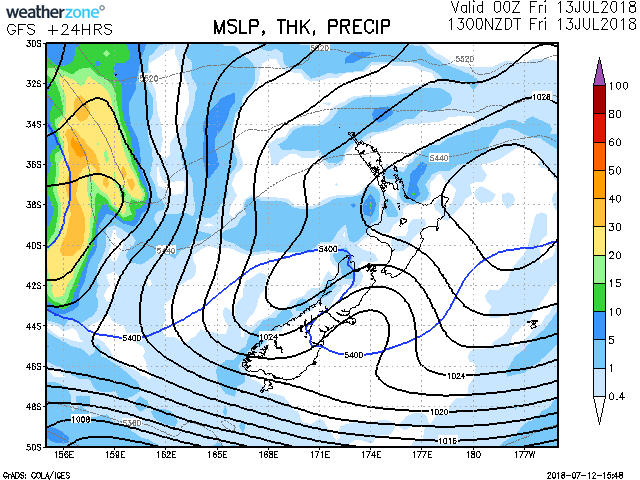 Cloudy periods and isolated showers, clearing from Wairarapa by evening and elsewhere tomorrow morning. Increasing fine spells today. However, cloud increasing tomorrow with showers from afternoon. Mainly fine today, but cloudy periods and isolated showers north of the Glaciers. Widespread showers tomorrow. Mainly fine, with morning frosts. Fine spells, and a few showers today.